Aristolochia californica, California Dutchman’s Pipe, is a vigorous, twining vine noted for its curiously shaped flowers resembling curved pipes with flared bowls. Flower display comes before leaf-out in winter or early spring. Native to central California and endemic to California alone, our specimen was purchased from the California Native Plant Society and planted in the Glade Garden in 2008. For several years it sat there looking healthy but not making any new growth. In 2012 it decided to take off and now is vigorously climbing a nearby black oak. We are hoping to see flowers in early spring 2014. Normal bloom time is January through April. 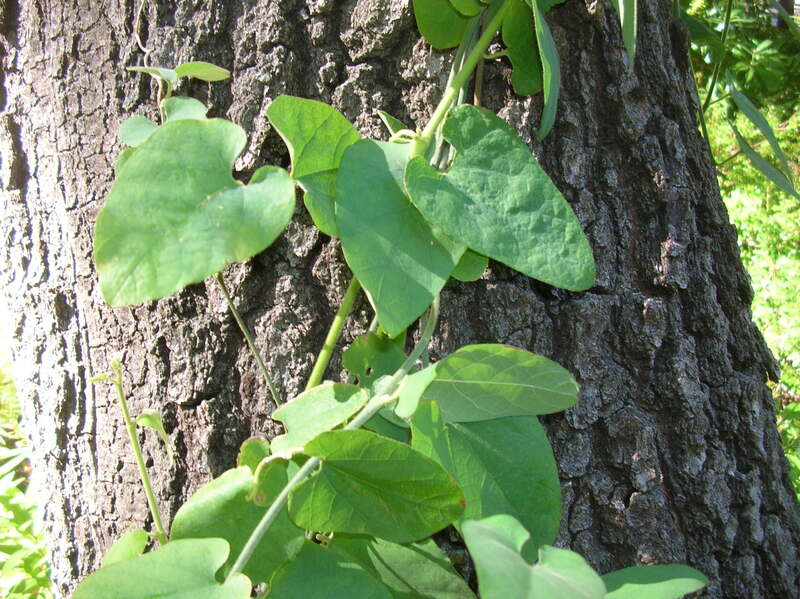 Aristolochia californica is the host plant for the Pipevine Swallowtail Butterfly whose larvae feed only on this plant.